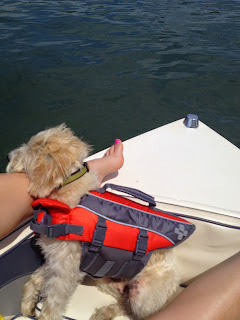 Mitchells loves the lake. Mitchell also loves touching The Farmer or myself. I'm not sure if that's the best combo when it gets to be 100 degree out. Moral of the Story: Hot dog!